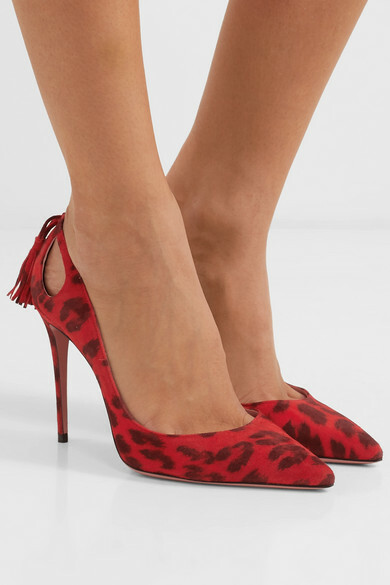 Aquazzura's 'Forever Marilyn' collection is just as elegant as the Hollywood icon it's named after. 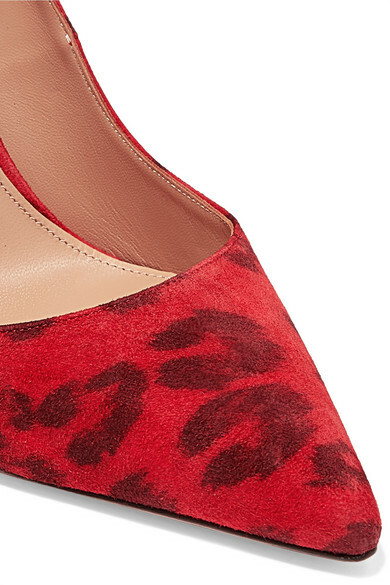 This iteration has been expertly made in Italy from leopard-print suede and has a refined point-toe shape. Wear them with mini skirts or cropped pants to spotlight the cutouts and tassel detail. Shown here with: Alessandra Rich Dress, Hillier Bartley Clutch, Isabel Marant Earrings.